Blog — The Event Firm Inc. Sometimes fun, sometimes serious, always informative! 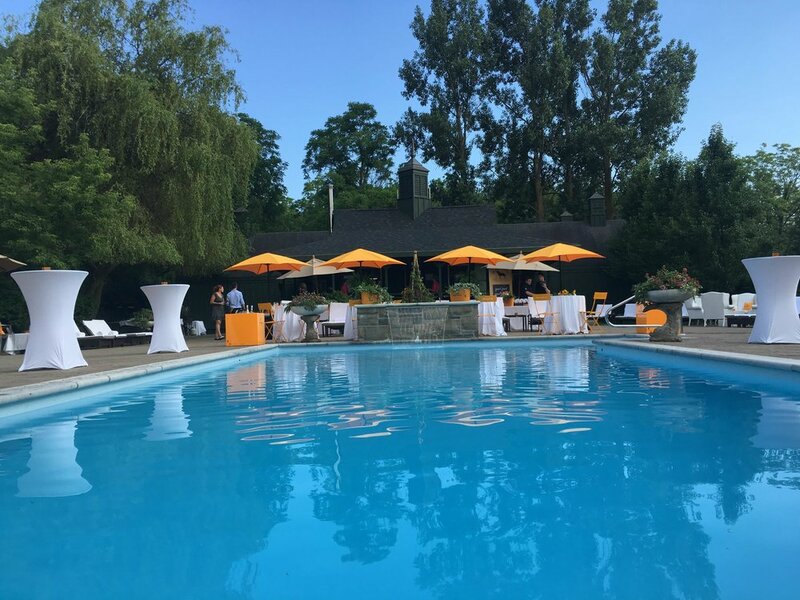 Langdon Hall, pool party and cocktails. What's not to love!? 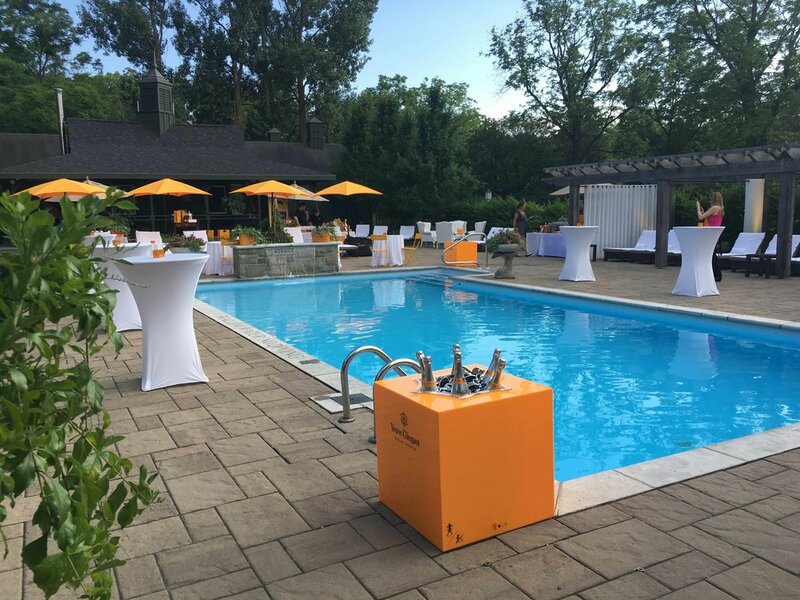 It's not everyday that you are invited to a Veuve Clicquot pool party. We were so happy when Langdon Hall asked us to help with the lounge areas, lighting and DJ for this event. Plus, I got to attend this as a guest too, which was pretty spectacular! Veuve Rich was specifically designed for mixing. It's high sugar content, brings sweetness to a mixed drink, taking away the need for simple syrups or other sweeteners. But don't believe me, go to Langdon Hall and ask their sommelier, Faye all about it! *This cocktail was delicious. Jonny spent days making the concentrated juice that went into this and it really showed. The Jasmine was a lovely touch and the drink was super refreshing! *Rose water really made this cocktail special for me. There's something about the floral aroma that I really love. Plus, it doesn't get much more luxurious than sipping on a rose petal drink beside the pool at Langdon Hall. *Super refreshing and light. I loved the cranberry ice cubes in this drink. As the cubes melted, the mint came to life and made the drink even more interesting! I loved everything about this event. The music was pumping (thanks to our very own Kyle Priestley), the weather cooperated, the guests were having a great time, the food and service by Langdon was spectacular. There really was nothing more you could have asked for! Plus, they were giving out Veuve Clicquot Rich sunglasses and I got to wear orange! Cheers everyone! Hopefully we'll get to do this again soon! PS...notice how my hair is getting curly here. Oh the summer heat! You curly haired ladies and gents know how I feel! Now, go check out all the amazing restaurants that were featured! Another last Thursday of the month, means another Pop Up Restaurant! Read the blog to see what was on our tasty menu at Colour Paradise Greenhouses! Check out one of our most exotic and exciting pop up restaurants yet!